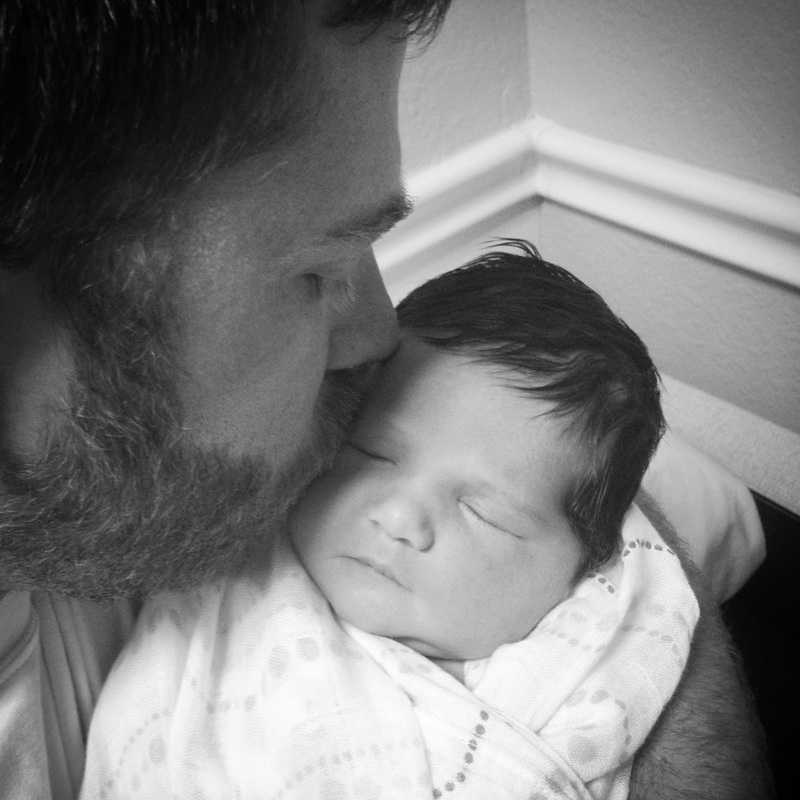 Three years ago, I knew nothing about being a father. I thought I knew something. I had been teaching middle school for a few years, classroom management and student relationships came easy. So when my wife and I decided we wanted to start building our family, I was fairly confident in my ability. The funny thing about fatherhood is it can bring you down while building you up. Since having our first daughter in 2011, I have been humbled numerous times as a dad...realizing my many faults and how, more often than not, my wife is way better at this than I am (seriously, I have plenty of examples). But I am a better person today than I was three years ago, and that is entirely due to the beautiful chaos that is called raising children. I know, I know. This site is supposed to be all about beer. It is, sort of. Every now and then, I like to peel back the curtains a little and let you all see the person, the real person, behind all the beer bloggin' good times. You see, the tagline to this site has always been, "Good News. Craft Brews." As far as I'm concerned, having a baby is some pretty good news! But don't worry, I promise to mention good brews in this post too! And I'll even include a picture or two! If you follow me on Twitter or Facebook, you know that my wife and I have been expecting another baby girl to join our family. We found out last October that we would soon be joined by a third baby girl, and for those of you who are counting, that makes up a family composition of three girls ages 3 and under. I am vastly outnumbered. Even our dog is a female. Back to the baby story. Kiera was due on July 6, and when July 9th rolled around, it was time to issue an official eviction notice and get the baby on its way. We rolled into the hospital at 6am ready to go. As you can see below, Kiera entered the hospital with a fully-cooked baby in that belly. Times up. There's no more room. Time to come out! In total, Kiera spent just under 12 hours laboring. I actually left the hospital at 4pm because things didn't seem to be progressing at all. And just like that, I received a call at 5pm telling me it was go-time and Kiera was about to have the baby. I returned to the hospital room at 5:15pm...just in time; 20 minutes later, at 5:35pm, my wife and I welcomed Ezri, our newest member to the family. Fun fact: Ezri means "my help" in Hebrew and is the female derivative of the Old Testament Biblical author, Ezra. After two days in the hospital, we were all cleared to go home! This news was particularly good as I don't think I could've endured another night on the hospital bouch (bed + couch = bouch). Everyone just assumes the women have it the worst when it comes to giving birth, but have you seen the beds they provide for dads? (Please God, don't let my wife read this). Getting to come home means one thing: Celebratory beer! In this case, I chose two beers with which to honor the birth of Ezri. The first was Westvleteren XII. For those who don't know, Westy 12 is considered, by some, to be the best beer in the world. This probably has more to do with its rarity than actual flavor, although this is definitely a world-class beer. I had been holding onto this bottle since the one and only commercial release in the US (2012). I can't think of a better reason to open such an acclaimed beer than the arrival of a new baby girl! The second celebratory beer was Funky Buddha's Maple Bacon Coffee Porter. Maple. Bacon. Coffee. Beer. What more does one need to maintain a happy life? This beer is just incredible. Amazing balance of flavors, smooth, and simply delicious. Easily one of the best beers I've had this year. Maybe ever. Big thanks to Floribrew for sharing this one with me. Cheers, buddy! So, there you have it. That's our baby story. It's been a week filled with emotion, joy, and jubilee. Ezri is nothing short of a gift from God, and we are honored and blessed to have her. When you hear people talking about watching the "miracle of birth," that really is a correct way to describe the process. Despite the doctors, nurses, monitors, and tubes, there is something divine about seeing your child come out of the womb and take that first breath. It's simply incredible. It's a gift from God. My wife kept her smile throughout the entire delivery! Time to cheers! Join me in raising a glass and toasting to Ezri, the newest member of our family, and a future craft beer aficionado!